The 52-year-old Ramakrishnan is a native of Mallankinar village of Virudhunagar district. 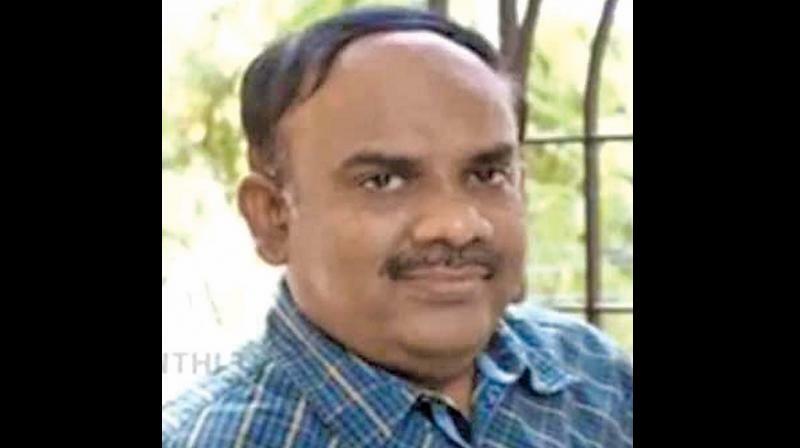 Chennai: Tamil writer S. Ramakrishnan was honoured with Sahitya Akademi award on Wednesday for his novel Sancharam poignantly capturing the life of nadeswaram players. The 52-year-old Ramakrishnan is a native of Mallankinar village of Virudhunagar district. His short stories are noted for their modern story-telling style in Tamil. He had, as editor, brought out the literary publication, Atchara, for five years. His short stories and articles have been translated and published in English, Malayalam, Hindi, Bengali, Telugu, Kannada and French. As a story-teller, he has organised over 30 story-telling camps for school children, all over Tamil Nadu. He has authored four books for children besides organising a special story-telling camp for children with dyslexia-related learning disabilities. He has also organised screenplay writing camps for short film directors and students of cinema creation in important cities like Chennai and Coimbatore.Ramakrishnan has also worked in Tamil movies like Baba, Sandakozhi and Sandakozhi-2, Dhaam Dhoom and Unnale Unnale.